Provides some defence to the ICO if there is a data breach. The training contains crucial information that staff need to know which is relevant to both themselves and barristers. This is a useful reference tool after training is completed and for fielding queries from Members of Chambers. One can refer to the materials any time you like within the licensed year. 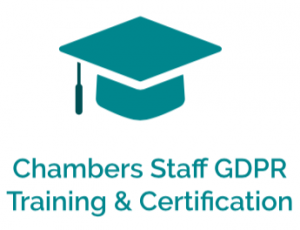 As the UK Information Commissioner said in a recent blog “Staff are your best defence and greatest potential weakness – regular and refresher training is a must”.